For a scarecrow all you need from your closet is; some overalls, a plaid or flannel shirt, some boots, and any form of floppy hat. I added some fake flowers from the dollar store to add a little bit of cuteness. The hair and makeup are what really makes the costume, i put my hair in pig tail braids and my makeup artist gave me the perfect scarecrow stitching look. This one might not be the most politically correct costume but it was a fun one to create. It's super easy to create from your closet, simply pull; a party dress, a sweatshirt, and some socks. 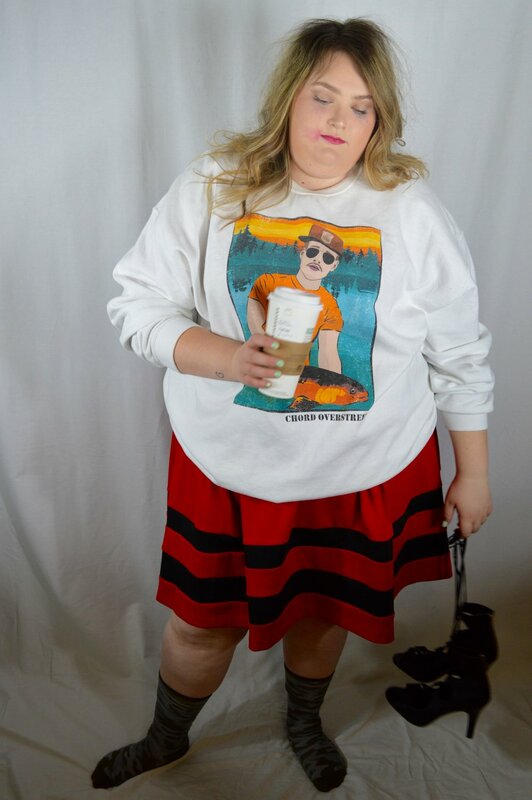 To pull it together smudge your makeup, mess up your hair, and cary a coffee cup and your shoes. The Bachelorette was 100% the easiest one for me to do. I pulled out my old formal dress, threw on a pair of heels and got a bouquet of roses (you really only need one). For a funny twist I had my make up done so that it looks like I had been crying, we all know all the Bachelorette's cry a lot. It's funny to have your eye makeup messed up a bit, but make sure that the rest of your makeup looks great and your hair is really put together. A special thank you to my very good friend Leah who did a fantastic job as my makeup artist for this very long photoshoot! Check out her Instagram for more make up inspiration! Thank you for reading this post! I had the best time putting together these halloween collections! I hope that some of these helped you find your perfect costume for Halloween! Comment down below what you are wearing for Halloween so I can get inspiration for next year!